Last month my cousin Kristin married her longtime love, David. Here are a few snaps of their lovely wedding. For Father's Day I decided to make my dad something special. He's taught me so much, and has always been there to answer the crazy questions that tend to pop up mid-project. 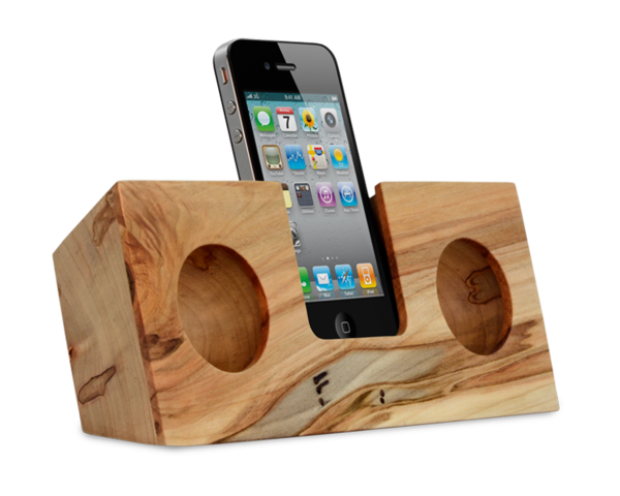 Plus, I had found already found the perfect gift-worthy project-- a handmade iPhone dock. I'm an architectural historian by day, and the architectural firm I work for specializes in restorations of historic buildings. It just so happened that we were working on an 18th-century house in town that needed historically-accurate flooring for repairs and a new addition to the house. In the 18th century, heart pine was the flooring of choice in this part of the world. It is dense, insect-resistant, and beautiful, nothing like the pine lumber you see at the big box stores. Unfortunately, heart pine is very difficult to find, as all the old-growth pine trees are nearly gone. Instead, timbers are often salvaged, most often from old mills being torn down, and re-sawn into flooring. In all flooring jobs, there will be some waste, and I was lucky enough to snag some of the flooring off-cuts. So, I had a small stock of beautiful heart pine floor boards, and just needed to find the perfect project to showcase the wood properly. Since the pieces of pine I had were quite small, usually 4-6" wide, and 12" long max, I was limited by the size of the piece. I got to searching, and found this great wooden iPhone passive (no electricity/battery needed) amplifier by Koostik. I really love the design, minimal, letting the wood be the star. It also works really well at amplifying the sound from the iPhone's integrated speakers. With a little more searching, I also found plans to build something similar to the koostik on Woodworkcity.com. However, the design differed a bit from the koostik, mainly the proportions and the placement of the holes. Also, after reading the comments on the woodworkcity.com project there was a general consensus that the flat bottom of the holes would dampen the sound, resulting in less projection than the koostik. With these considerations in mind, I got to sketching and soon had a design I could live with. Since I don't have a CNC machine, those perfectly round holes on the koostik would be impossible, so instead I searched for the perfect small bowl instead. I finally found the perfect ceramic sauce dish at World Market, and modified the design to fit the bowl perfectly. After some stain, (General Finishes Gel Stain in Java) I also added a removable felt base held on with some super-strong rare earth magnets to protect any furniture it sits on and secure an optional charger cable in place. 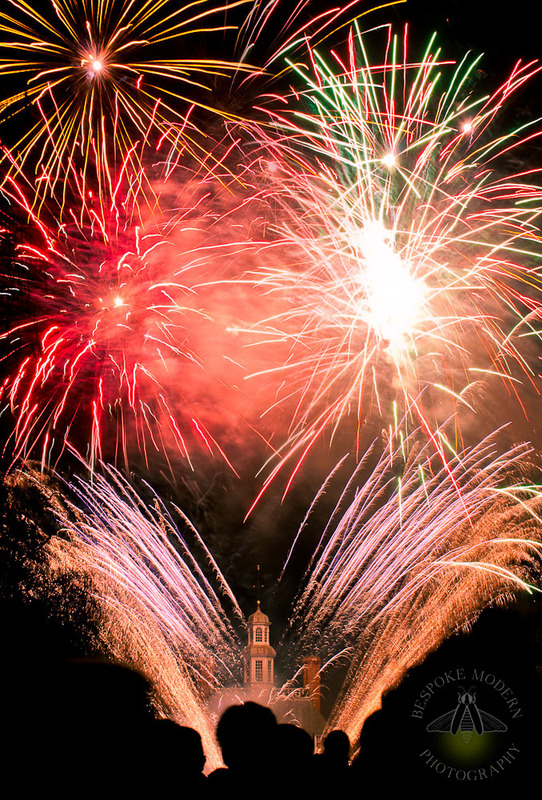 Happy New Year and welcome to the new blog! First off, let me introduce myself. My name is Jenn and I love making things. I've always loved anything art/craft/DIY-related ever since I was a small child. I grew up with two very talented parents-- my mom, a gifted watercolor artist who, for a number of years also ran a wedding cake business on the side, and my dad, a Jack-Of-All-Trades with the mind of an engineer. Needless to say, I learned many amazing things from my parents, from how to decorate cakes, to how to rewire an electrical box and use a bandsaw. I took my love of art and history and these days work as an architectural historian and historic preservationist specializing in Early Tidewater buildings. Over the years I've learned how to document historic buildings, an approach which includes measured drawings, and photography. Photography was always on my radar but I never had a "real" camera growing up. When I started studying historic preservation I learned how to use a film SLR, and I was hooked. And that's where this blog comes in. I love making things and haven't had a place to discuss my various projects and interests. So while my main website will focus mainly on my photography, the blog will be a mix of all kinds of topics. Crafts, house stuff, baking, cooking, history, architecture, and of course, photography. Basically, I'll blog about whatever topic has currently captured my attention. This year I'm also planning on showcasing some new photography. I have lots of photo ideas and tutorials I want to try, plus a backlog of photos from the past year that need editing. As you can see there are big things in the works, and I hope you'll join me for them!